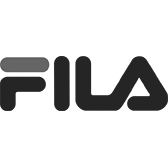 Go out in your stylish new Fila Campora athletic sneakers! This style features a faux leather upper with a padded tongue and collar for all day comfort. Pair this style with your favorite shorts or jeans!